Mental health is an issue that affects all our our communities and increasingly, resources to support people affected by mental illness and substance abuse are disappearing. Faith leaders and faith communities are often places where people turn for support, but often we don’t know how to respond or be helpful. We’ve listed a number of resources that we are aware of to help support that capacity of faith communities to be present for and responsive to the needs of people who are in recovery from mental illness and their families. There is hope! A pamphlet from Advocate Congregational Health Partnerships with quick tips about how faith communities can provide support for people in their recovery journey from mental illness. Includes a list of resources designed for faith communities. We are fortunate to have a regional interfaith coalition that is helping congregations to support their members who are dealing with mental illness and substance abuse. The coalition includes representatives from area mental health service organizations, health care providers, national faith-based mental health programs, grassroots organizations and people in mental health recovery. The IMHC meets regularly and holds events all around the region. Contact Robert Skrocki, Communications Liaison, at contact@interfaithmhc.org 630-802-0769 for more information. Pathways to Promise is an interfaith technical assistance and resource center which offers liturgical and educational materials, program models, and networking information to promote a caring ministry with people with mental illness and their families. They have toolkits like the one below, PowerPoint templates, brochures, posters. It’s a great site for congregations on mental illness. The Commission on Mental Illness educates and resources parishes on the spiritual and supportive needs of persons with serious mental illnesses and their families. They provide educational workshops, distribute bulletin inserts and pamphlets to congregations, and provide referrals and networking for people with mental illness. For more information contact Connie Rakitan at 708-383-9276. The Commission and Faith and Fellowship are part of a larger group of Catholic ministries called Mental Illness Ministries. Mental Health Ministries is a national organization that is a wealth of information and resources designed to help faith communities journey with people who face mental illness. For more information, contact Susan Gregg-Schroeder at Mental Health Ministries at sgschroed@cox.net or visit their website at www.mentalhealthministries.net. They also have resources for congregations on mental illness–brochures, worship resources, bulletin inserts, study guides and tool kits, and videos. See their Study Guides in English and Spanish below, but go to their website for many more resources. You can also find local groups and chapters for your area. One of the most important strategies for reducing shame and stigma around mental health is just talking about it. SAMHSA offers a suite of tools and resources for setting up community conversations about mental health. Community Conversations About Mental Health: Discussion Guide A guide for holding a successful and productive conversation. Information Brief. Background information about mental health issues, treatment and support. Planning Guide. Ideas for ways to facilitate discussions and ideas for taking next steps. Mental Health First Aid (MHFA) is an exciting public education program that helps people identify, understand, and respond to individuals experiencing signs of mental illnesses and substance use disorders. MHFA was developed to help members of the community support an individual developing a mental health problem or experiencing a mental health crisis. Recommended for people working with the public (nurses, teachers, public welfare workers, law enforcement, etc), as well as anyone who wants to learn more about mental health or feel more comfortable assisting someone experiencing a mental health problem. The Community Counseling Centers of Chicago provide regular trainings on Mental Health First Aid. You can attend scheduled trainings or request a training for your community. 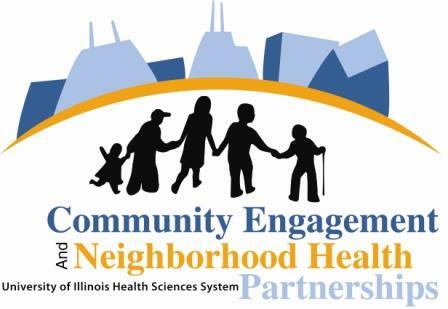 For more information or to host a training, contact Jessica Wheeler at jessica.wheeler@c4chicago.org or call 773.765.0814.